The Concentration aromatic spray composition helps you minimize the chemical or physical stress effects that can take place at your working location or while travelling. It creates a positive and stimulating ambience while purifying the air. Usage: Spray into the air, 5 to 6 times a day. Also pour a couple of drops on a handkerchief, to breathe as many times as necessary during the day. Organic essential oils certified by ECOCERT (100% pure, 100% natural). 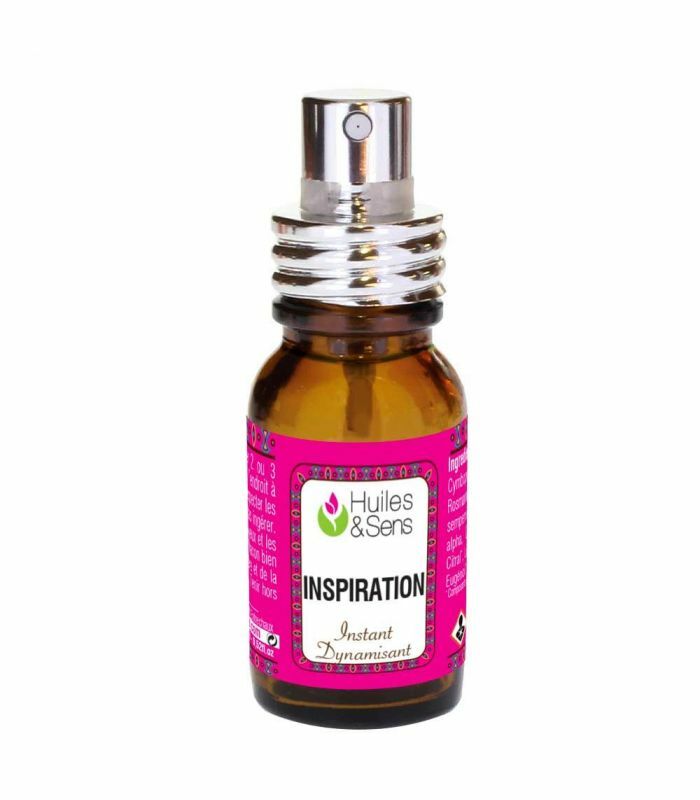 100% pure and natural essential oils, in 15 ml brown glass bottles with spray pumps. Do not ingest. Keep away from children. Avoid contact with the skin.